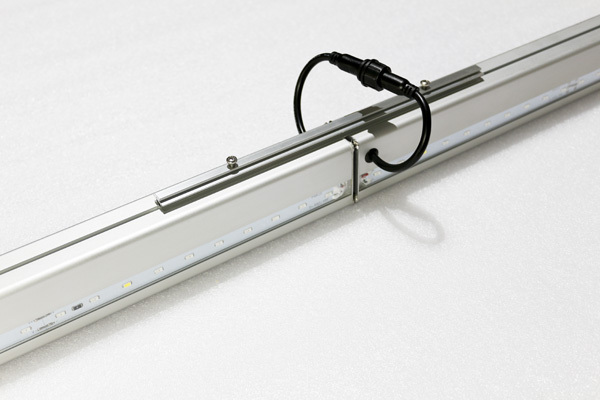 PGL-D-RBC is a side lamp for leafy tall plants. It gives bidirectional light positioned between plants, compensates for light on shaded part by upper leaves and neighboring plants. PGL-D-RBC suits tall and leafy plants such as tomato, paprika and cucumber, it can be used for both growing and flowering phase. It makes plants grow in balance, and increase production by up to 30%. 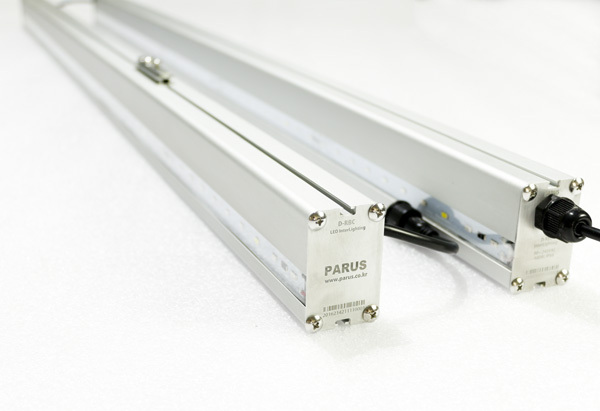 It can be installed in serial connection, and you can adjust installation height as plants grow. 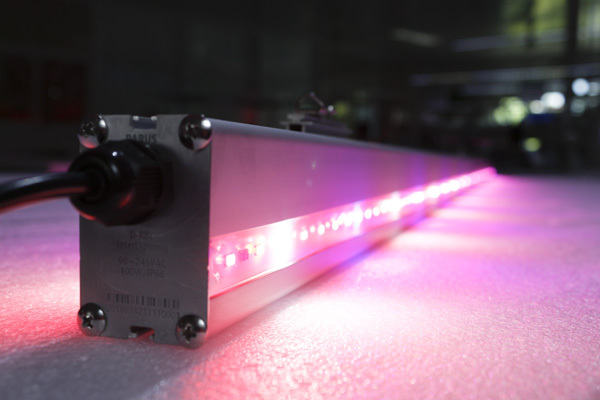 ► High productivity – Effective wavelength can boost production by up to 30%. 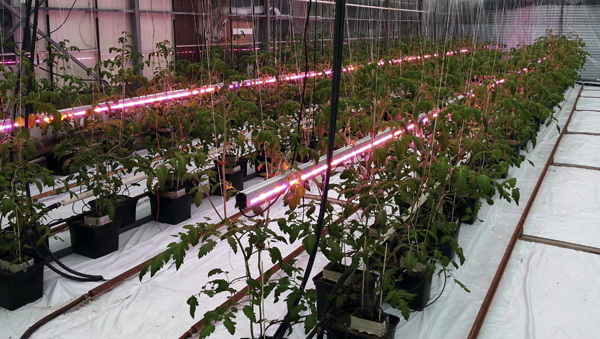 ► Supplementary side light – It provides light from its both side, which suits tall and leafy plants such as Tomato, Paprika and Cucumber to supplement light between plants. 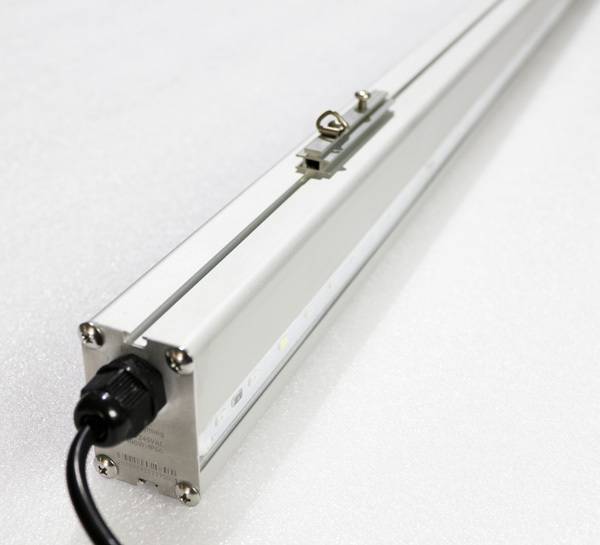 ► Easy installation – SMPS is built in lamp body, the power cable with plug can be easily connected by cable jack, no need complex wire work. ► Cultivable Plants : Tomato, Paprika, Cucumber, etc.